Vora Technology Park Welcomes Barclaycard US Customer Care Center and Jobs Back to Hamilton! Barclaycard US has selected the Vora Technology Park (VTP) as the home for its new customer contact center, bringing a tremendous number of jobs to the City of Hamilton in Butler County, Ohio. 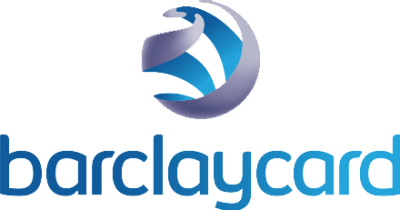 Barclaycard hopes to create up to 1,500 Jobs in Hamilton, Ohio in three years. If you are looking for office space for a technology call center, look no further. 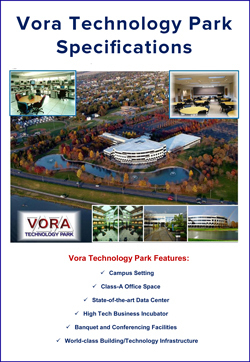 Vora Technology Park, a landmark facility in southwest Ohio, is the perfect venue. 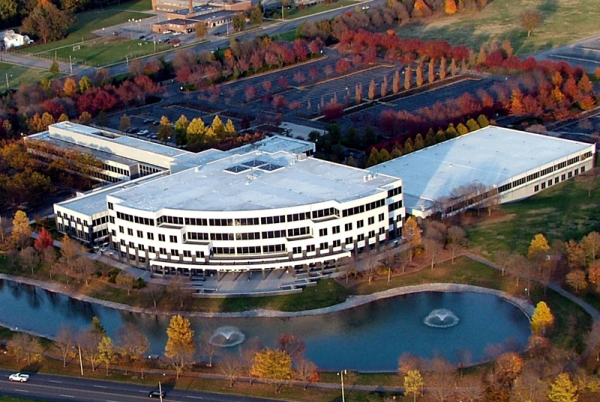 Located in Hamilton, Ohio - between Cincinnati and Dayton and minutes off the I-75 corridor, the technology park sits on a beautifully landscaped 55-acres, including a pond and walking trails. There is also a state-of-the-art data center and technology incubator. Moreover, the campus boasts a full-service conference center with seating for 650, with break out rooms for seminars. While many places boast of how well-suited they are for data centers, few have an asset like Vora Technology Park. A Tier III data center, Vora Technology Park offers data centers unparalleled redundancies in a state-of-the-art facility. Vora Tech Park features include a beautiful campus setting, Class-A office space, state-of-the-art data center, high tech business incubator, banquet and conferencing facilities and much more. Click the image to download the VTP Specifications . Located in the heart of the Cincinnati-Dayton metroplex, Hamilton is Butler County’s seat of government and its center for finance, industry, arts and culture. Hamilton, Ohio is the second largest city in the tri-state Cincinnati region. 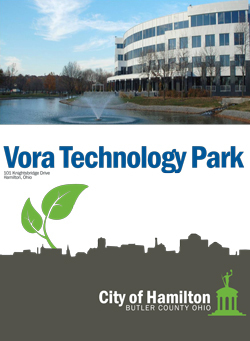 Click the image to download the City of Hamilton brochure and to learn more about the Vora Technology Park and the City of Hamilton.